Do you really know AEP files that are created by Adobe After Effects? Still have no idea to convert AEP to MP4 for sharing edited videos? Follow this tutorial to get more information about AEP format file. 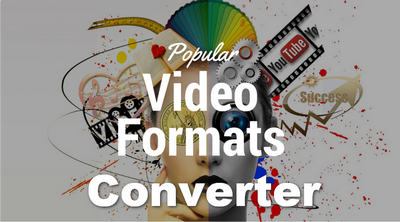 Here is a recommended video converter for you. Q: I have download an AEP video file. What software should I use to open it? Q: I tried to find an AEP to MP4 converter online but I failed, who can help me? Q: I want to upload AEP video to YouTube but it isn’t allowed. What should I do? A: Actually, AEP is not a real playable video format, it is just a project file that contains a video composition including audio, images, video clips, etc. AEP files are only used for creating professional-quality video productions and cannot be played or uploaded. So, for a variety of reasons, converting AEP to MP4 has become a requirement for many people, and now let's go to how to convert AEP to MP4 with AEP file converter. For the people who want to convert videos but have no idea for varied video converters. HD Video Converter Factory Pro is worth a try. 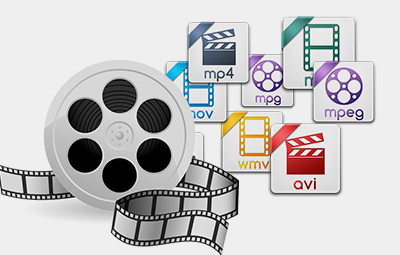 It is an easy-to-use program that allows you to convert video to AVI, KKV, MOV, MP4, 3GP, FLV, etc. 300+ video formats. Now, download it to have a try! Since the AEP file is just a project file generated by Adobe After Effects, it cannot directly play on your devices or share with others. Now, let’s go to how to convert AEP file to MP4. Step 1: Open your .aep file in the AEP to MP4 converter. In general, .aep files are automatically associated with AE, and double-click to import the file. Step 2: Now, click “New Composition” under Composition table. You can adjust composition settings at this time like composition name, frame rate, resolution, etc. Step 3: Copy all the files from your project and paste that in the new composition. And then click “Add to Adobe Media Encoder Queue” under Composition table. Step 4: Adobe Media Encoder will run automatically, you need to select “H264” on the right list. You can also set the name and path for your output file. Step 5: When all settings are done, click on the green button (Start Queue/Return) to start to convert AEP to MP4. This is AE itself as the AEP converter to convert AEP to MP4, do you get it? Warming tips: Since June 17, 2013 (AE CC 12.0 was released), AE has removed H.264, MPEG-2, and WMV formats from the default state of the After Effects render queue. In general, you should use Adobe Media Encoder to create output in these formats that have been deprecated from the After Effects render queue. Click here for more information. Learn more about what is an AEP File? Adobe After Effects (also known as AE) can help you create numerous compelling dynamic graphics and stunning visual effects with high efficiency and precision. And the AEP file is the video editing project created by Adobe After Effects. AEP files contain the video synthesis, including audio, video clips, images timelines, and various visual effects that can be applied to the movie. AEP format files are used to create videos with professional quality. The AEP file is the main file type for the video editing project in After Effects, and the other is AEPX. AEP files are usually stored in binary format while AEPX is a text-based XML project file. HD Video Converter Factory Pro supports much more than 300 video formats conversion. This easy-to-use software will allow you to convert your video to any hot video formats like MP4, AVI, MKV, MOV, FLV, 3GP, etc. How to Free Convert ARF to MP4, AVI, MOV, MKV, MP3 for Playback ISO to MP4 - Simplest and Best Method to Convert ISO File to MP4 How to Free Convert ARF to MP4, AVI, MOV, MKV, MP3 for Playback?